We don’t all have the luxury of attending college for four or more years without working—and the truth is, that’s not how most people do it. In fact, nearly 40% of students in the US work while attending college. And increasingly, students are choosing non-traditional paths to achieve their career goals. Accredited career training colleges with flexible schedules, for example, are designed to help you get your diploma in as little as 10 months. If you work during the day, you’ll obviously have trouble making it to daytime classes. That’s why many prospective students who work are turning to career training colleges with more flexible evening programs. You’ll receive the same hands-on training as a daytime student—usually with a smaller class size. If you’re not much of a morning person, evening classes could allow for greater focus and better note-taking. Online classes might be a tempting option for those who work during the day. Unfortunately, if you’re looking for hands-on training and personal help from instructors with years of industry experience, you won’t find it from behind a keyboard. There is no substitute for practicing your skills in person and learning to master your new career through trial and error. The shorter your college program is, the faster you can go from the classroom to starting your new career—it’s that simple. Career training and vocational schools are the best place to look if you’re itching to get through college quickly and receive a valuable, affordable education. Whether you’re interested in training for a medical, legal or even beauty career, there are diploma and degree programs that can be completed in as little as 10-19 months. Not sure where your interests lie? Take a free career quiz to find out. Without a little help from friends and family, balancing work and college can be tough. And even with supportive people at home, we can all use an extra hand during finals week. A worthwhile college will offer students the resources they need in order to succeed in their program. From tutoring to help finding reliable childcare—there is no shame in asking for assistance or advice from qualified student resource professionals. IBMC College even has a dedicated Career Services team whose mission is to help graduates find great positions in their field after graduation. Federal Work-Study jobs are positions at colleges that are available to students who demonstrate financial need. What better way to stay focused during your program than to spend your working hours on campus? Sometimes, work-study employees may even have time to study between work tasks during their shift. Work-Study positions are limited since they are sought after by students looking for flexible work hours. They’re also a great opportunity for those who are not interested in traveling between work and classes. You might be surprised to hear that most people are willing to help you achieve your dreams—even your boss. If your work schedule doesn’t allow you to attend college during required hours, talk to your employer about it. Often, they will be willing to change the schedule to support your goals. If your employer isn’t supportive, it may be time to look for a new job to work during college. 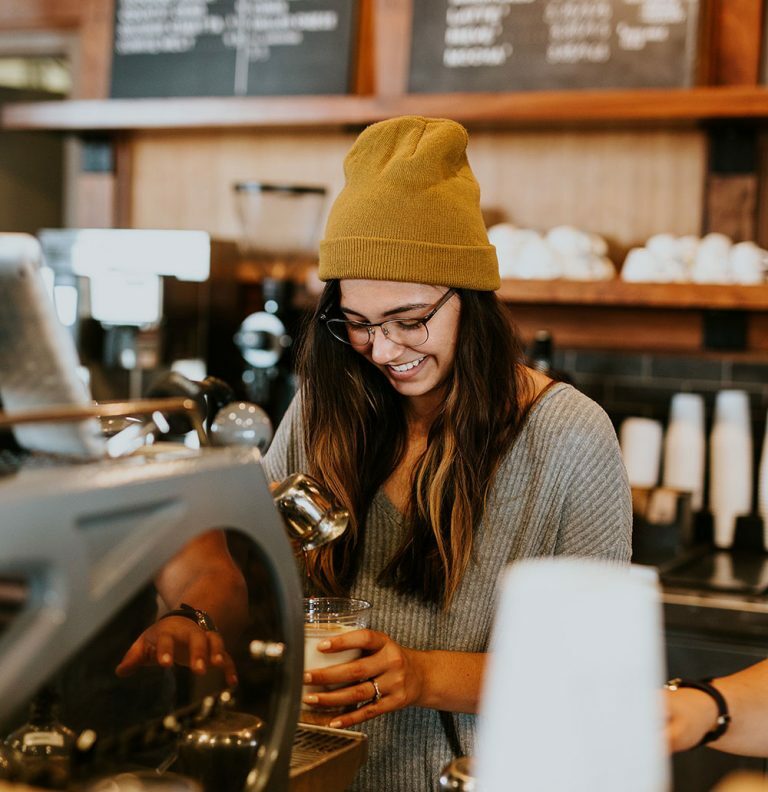 If work-study positions are not available, there are other options; Restaurant jobs may not be glamorous, but hours are flexible, shifts are short, and meals are often free. Burnout. It’s almost a rite of passage for college students—and it’s not the end of the world. With a busy schedule, you’ll need to plan for self-care. Do your best to study regularly, exercise, eat well and get enough sleep. Not surprisingly, studies show college students who get too little sleep achieve lower GPAs and retain less information from class. On the other hand, sometimes the best cure for stress is a night out with your friends from class—even if it costs you a little sleep. Is Going to College While Working Worth it? We all know that a college degree or diploma can increase your earning potential. But did you know that college grads earn an average of 56% more than those who only graduated high school? More importantly, it’s a chance to train for a career you’ll actually enjoy—a fresh start for many who are tired of odd hours, low wages or unfulfilling work. Still not sure if it’s right for you? We’re here to help. For over 30 years, IBMC College Admissions Representatives have helped thousands of students make the life-changing decisions. Call (800)-495-2669 to schedule your campus tour in Fort Collins, Greeley or Longmont, Colorado today.